© 1993 CFW. 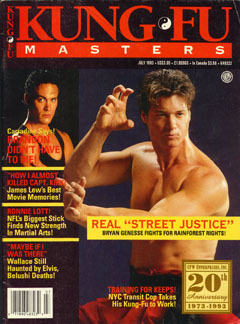 Enterprises, Inc.
Kung Fu Masters, July 1993. "David Carradine Asks: Could Brandon Lee's Death Have Been Prevented?" 6 pages.